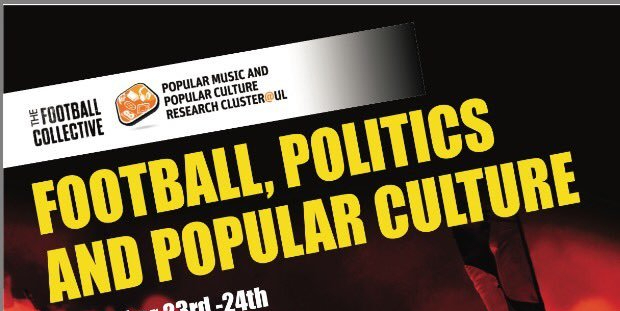 A number of us are beginning the process of putting together a proposal to publish two edited book collections on ‘Football, Politics and Popular Culture’ based on The Football Collectives annual conference in Limerick, 2017. Deals with football and Politics / the politics of football. Deals primarily with representations of football in popular culture / football as a facet of popular culture. If you are interested in being a part of this can you send us an abstract (no more than 300 words) and an outline of how your proposed chapter will be structured. Can you also send us a short biog, your institutional affiliation, and include any recent publications in your email. The deadline for sending these details is Friday June 29th at the latest.